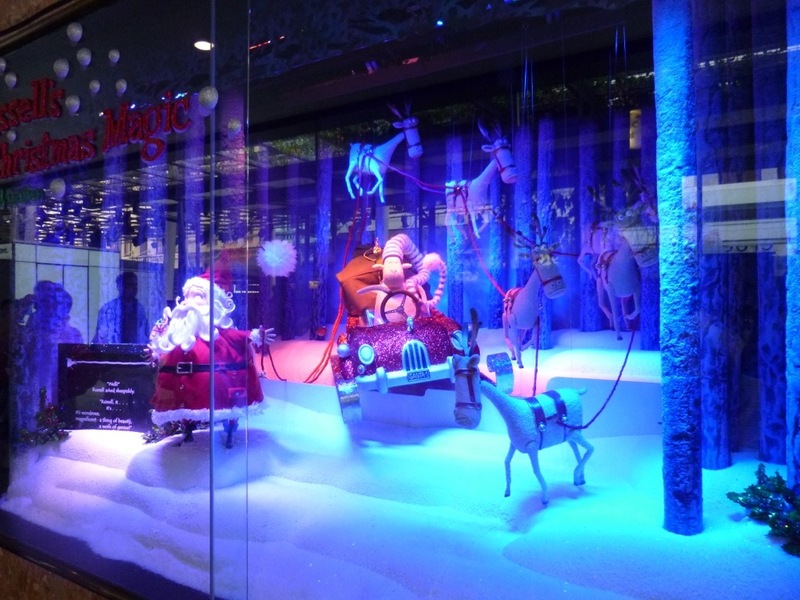 Brisbane was initially planned as a stopover on my way to Cairns, but an offer of a free flight on Virgin Atlantic for staying three nights at a Brisbane hotel was too good to pass up. It was also an opportunity to try out an airline that I’d heard much about and I must admit that if first impressions count ‘Bondi Babe’ was an interesting one. I think Air Canada should consider branding their fleet like this – Vancouver Vamp, Calgary Cutie, Toronto Tootsie and Winnipeg…..well. 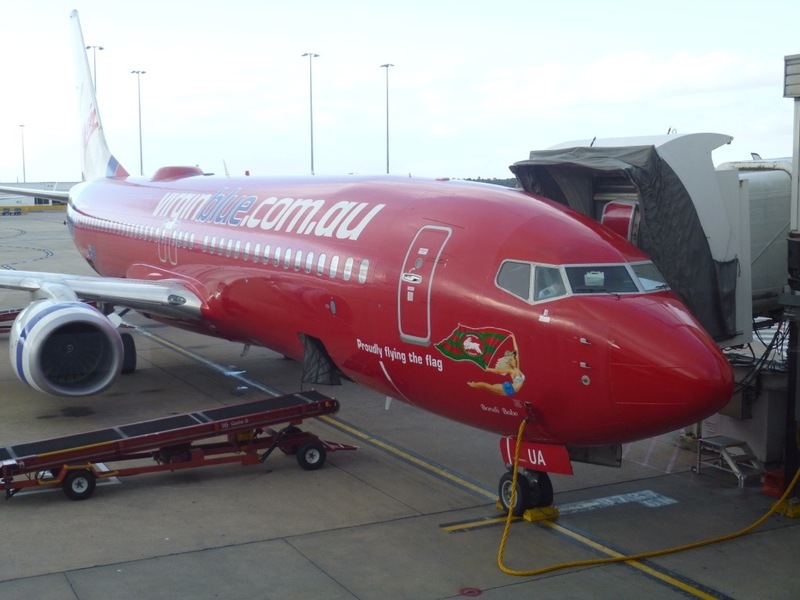 The Virgin flight was flawless but I was one of the lucky ones to arrive into Brisbane minutes before a nationwide system failure had passengers stranded for hours and hours. 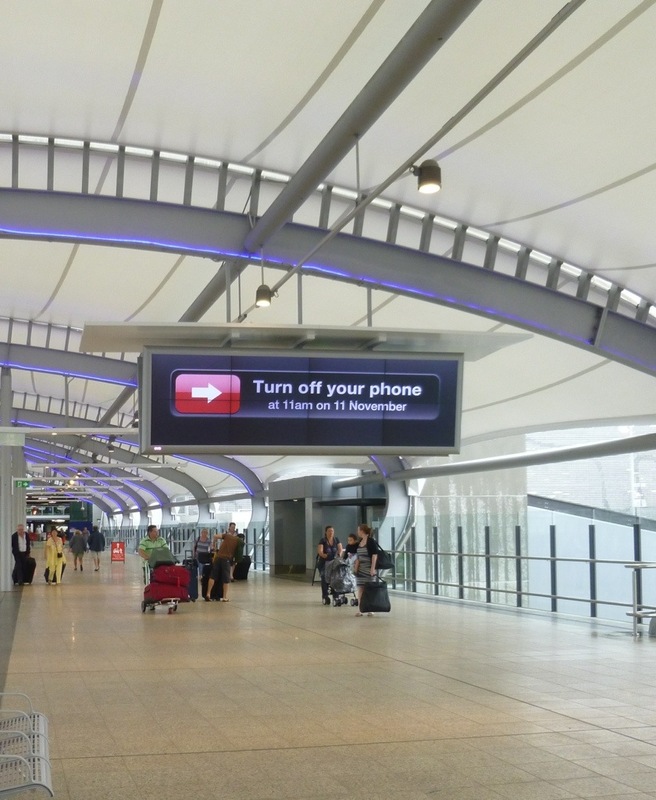 I would be in Brisbane for Remembrance Day and I was totally impressed by this large reminder at the airport. What a completely classy country this is. It’s worth noting that ANZAC forces made one of the greatest sacrifices in WWII when compared to the population of these countries at that time. There are reminders every in Australia and New Zealand of the tremendous respect still prevalent here for their armed forces. 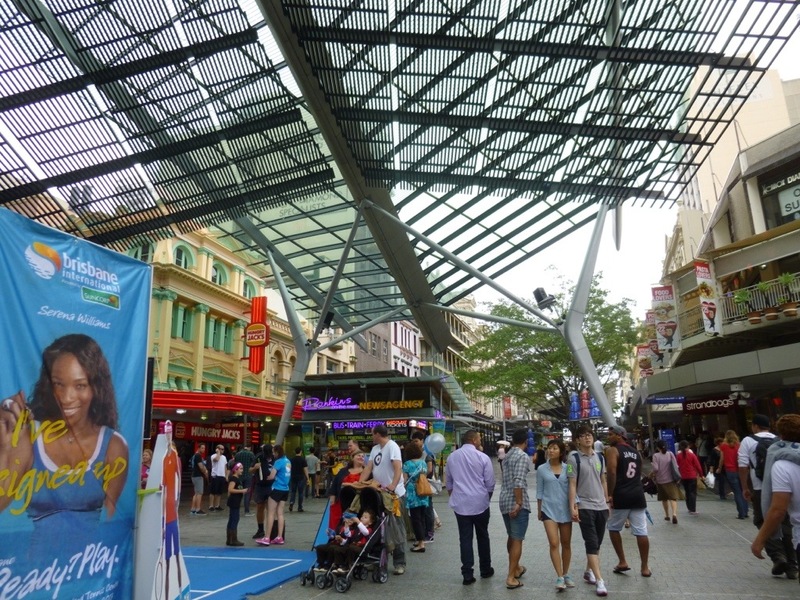 The expansive King George Square and City Hall anchor the downtown district, and are in the midst of complete and apparently controversial renovation. 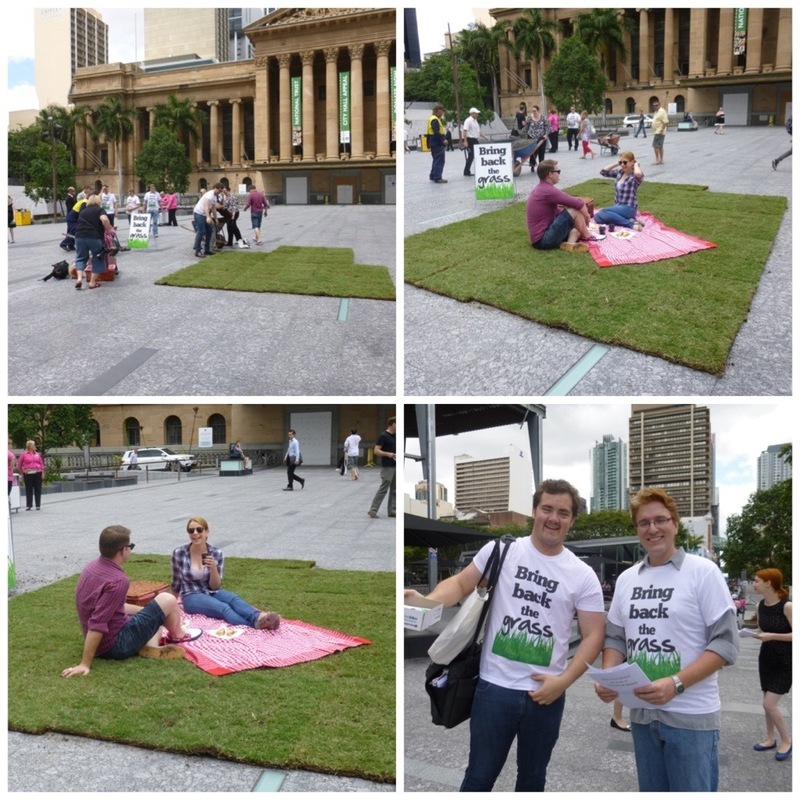 I throughly enjoyed watching this seriously civil public demonstration against the removal of the lawns that once covered this space. 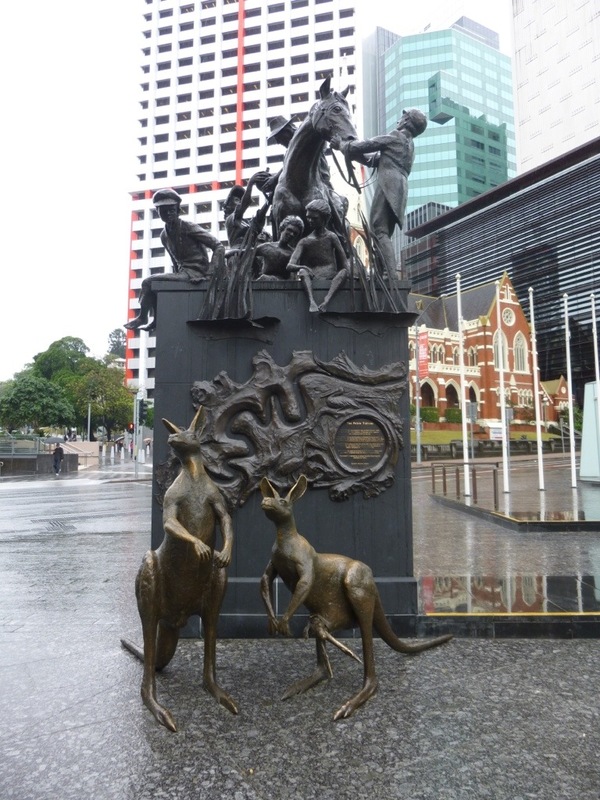 The Petrie Tableau – an intriguing bronze in King George Square that seems to want to capture as much of Aussie life as possible in one piece, including a rather bizarre depiction of a joey (baby kangaroo) in it’s mother’s pouch – I think. 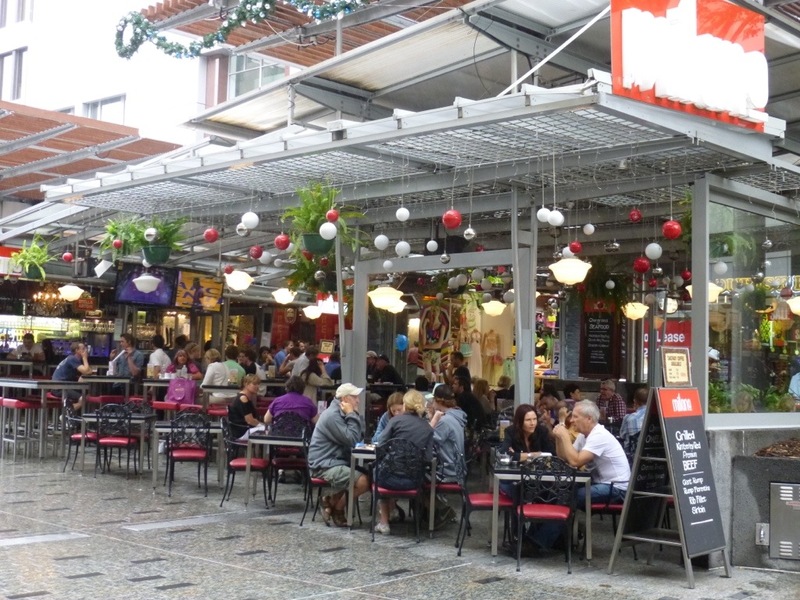 Brisbane’s Queen Street Mall – another of those lovely outdoor shopping spaces that are packed with people no matter what city I’m in. 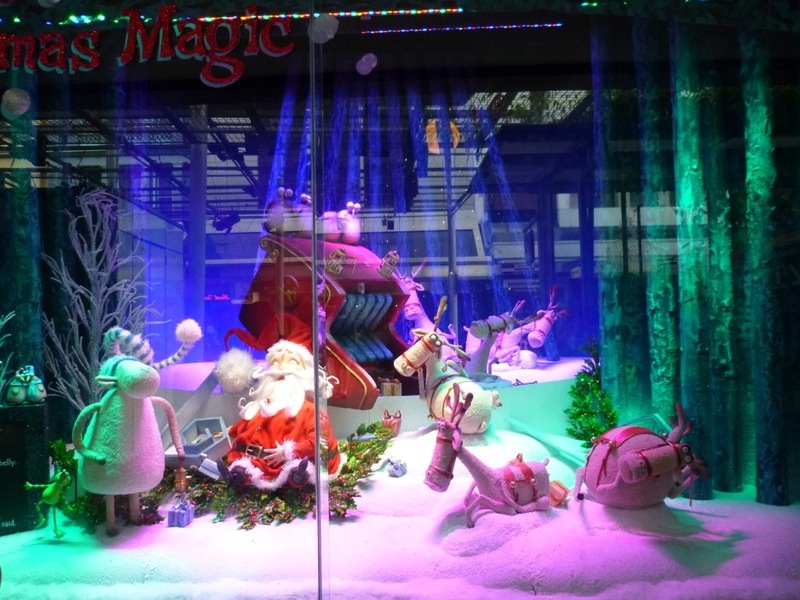 I was reminded that Christmas is coming by the decorations in the stores and cafes and by these cute store windows…all from folks who have probably never experienced snow! 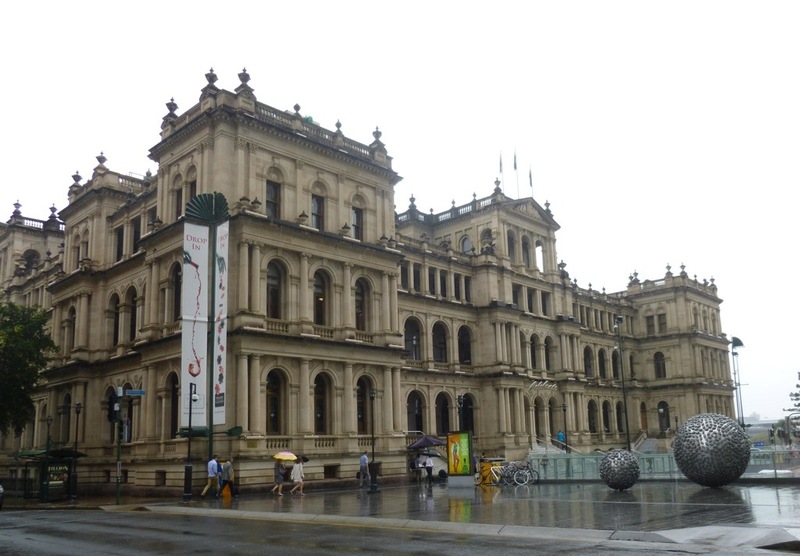 I was sure impressed by this massive and ornate building – the Treasury House for the state of Queensland. 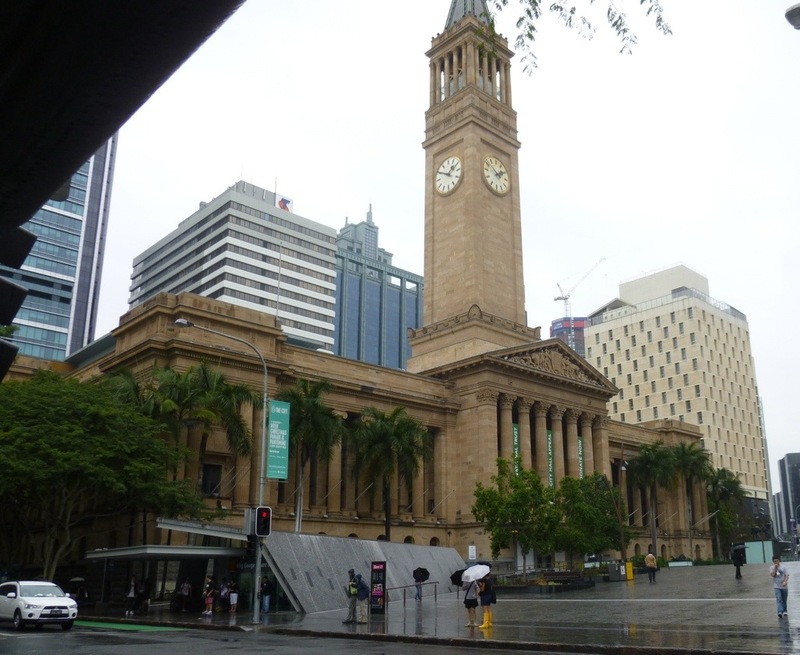 I certainly got the impression that Queensland must have pots of money to be able to justify such a magnificent respository. And it turns out that they do. It’s a casino. One of my favorite authors is William Manchester, one of the last journalists to leave Germany in 1936 as the world moved closer to war. 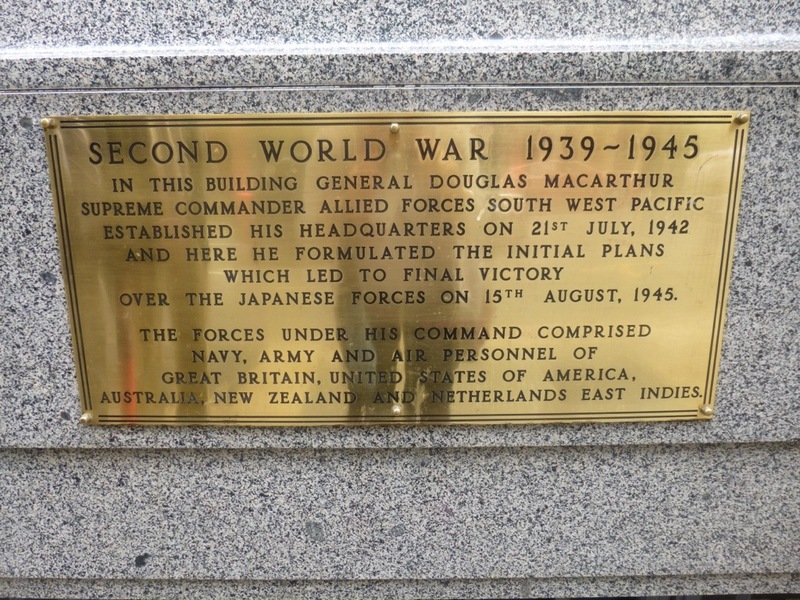 I was completely captured by Manchester’s account of the Pacific Theater in WWII and in particular, the heroic role of General Douglas MacArthur – to this day the only five-star general in the U.S. forces. So it seemed like a remarkable twist of fate when, at the Remembrance Day service in Brisbane I asked a stately looking fellow if I could take his photo, only later realizing that the crest on his jacket was from the MacArthur Museum Brisbane. I jumped at his offer of a tour of the museum and was absolutely thrilled be to be guided around by my new, and very knowledgable friend – an expert on General Douglas MacArthur. The museum is in the actual offices where MacArthur set up his headquarters after evacuating from Corregidor in the Solomon Islands. It was from here that he took his sometimes controversial stand to hold off Japanese forces at any cost. He is arguably credited with saving Australia when Britain and the U.S. might have abandoned support. 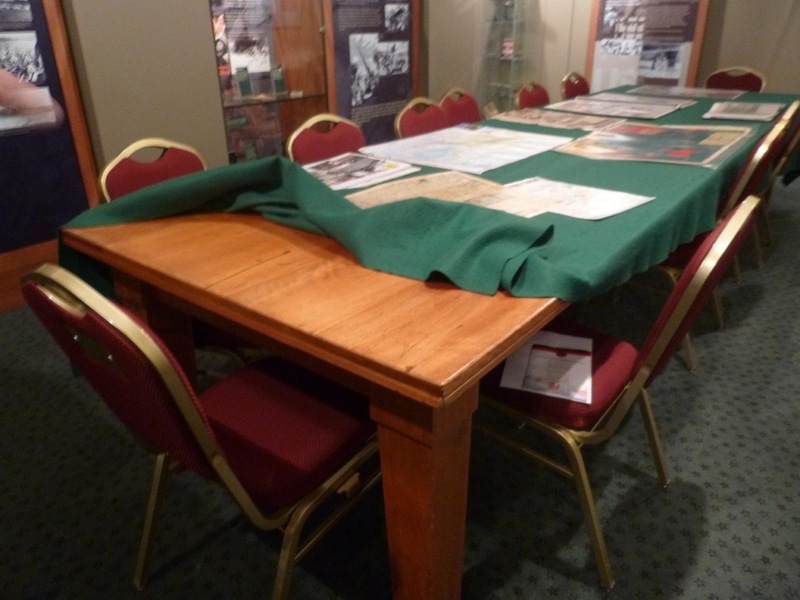 This table, made from one solid piece of Queensland timber is where MacArthur conducted planning sessions. 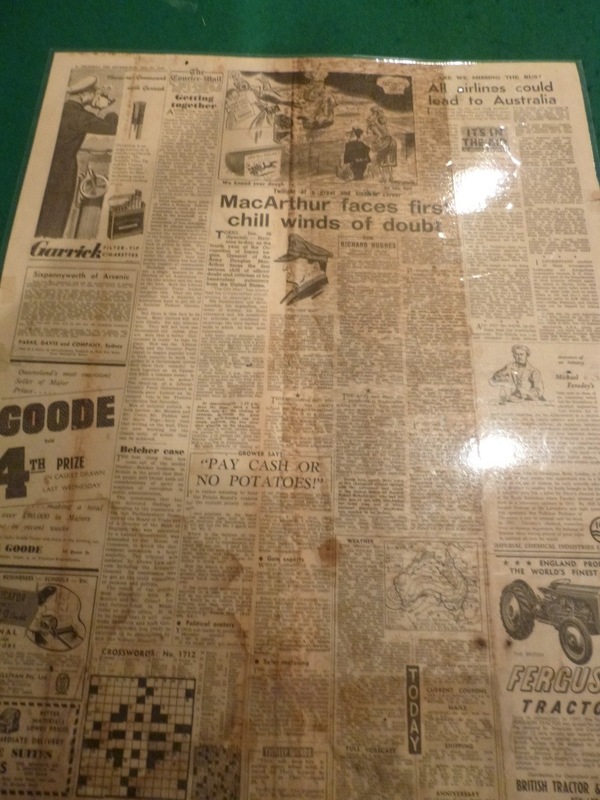 A newspaper from late 1945 speaks to the growing acrimony between MacArthur and then U.S. President Truman, and their differing opinions about the value of defending Australia from invasion by the Japanese. 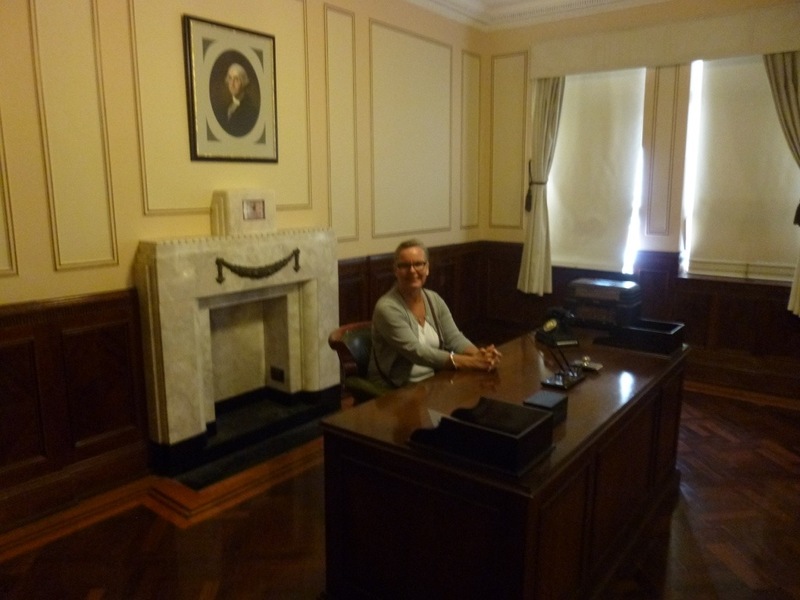 I felt completely humbled to be given the opportunity to sit at MacArthur’s desk. So much history was made here and many notable people visited with MacArthur in two deep leather chairs in front of the desk – including John F. Kennedy. 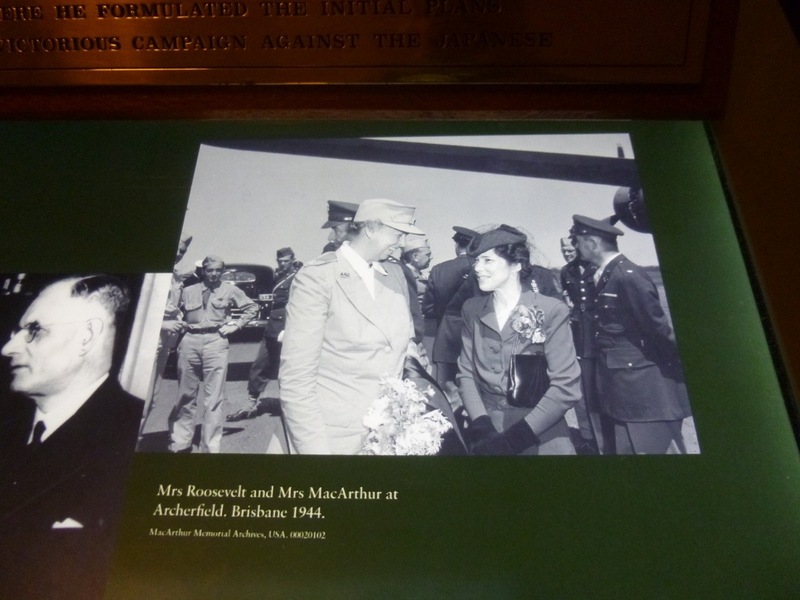 And it was lovely to see this photo of Eleanor Roosevelt displayed in MacArthur’s office. She was an intelligent, witty and hard working woman and someone I would have liked to have known. There was also a photo of Winston Churchill here – someone whom I have read a great deal about and revered in my own way. 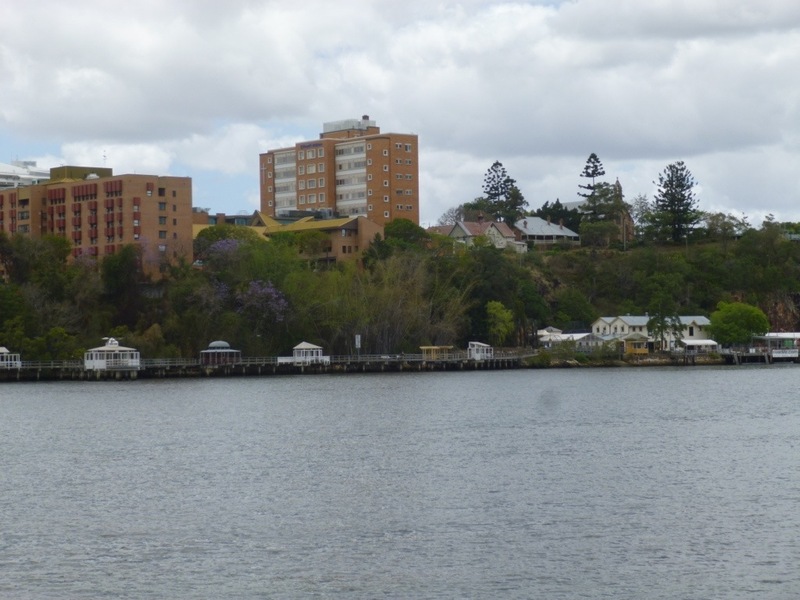 He is not, however well-regarded in Australia for his position against defending Australia in the war. This was a particularly reviled notion in the light of massive ANZAC casualties in the battle of Gallipoli that became known as ‘Churchill’s Folly’. So I’ve left his photo out of this post out of respect for my hosts. First cricket match. 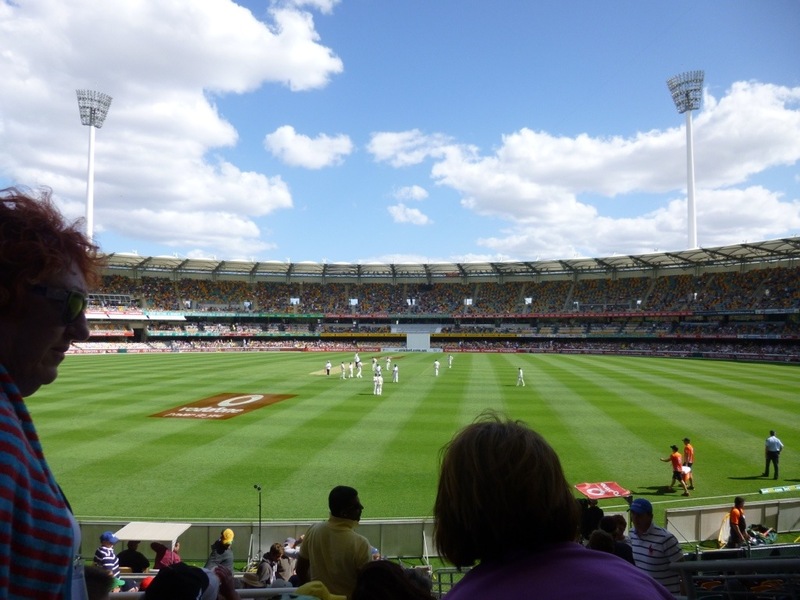 Test match actually between South Africa and Australia at The Gabba in Brisbane, which is Aussie for the cricket ground. Not sure I have the hang of this game yet but it was fun to watch them bowl and bat. 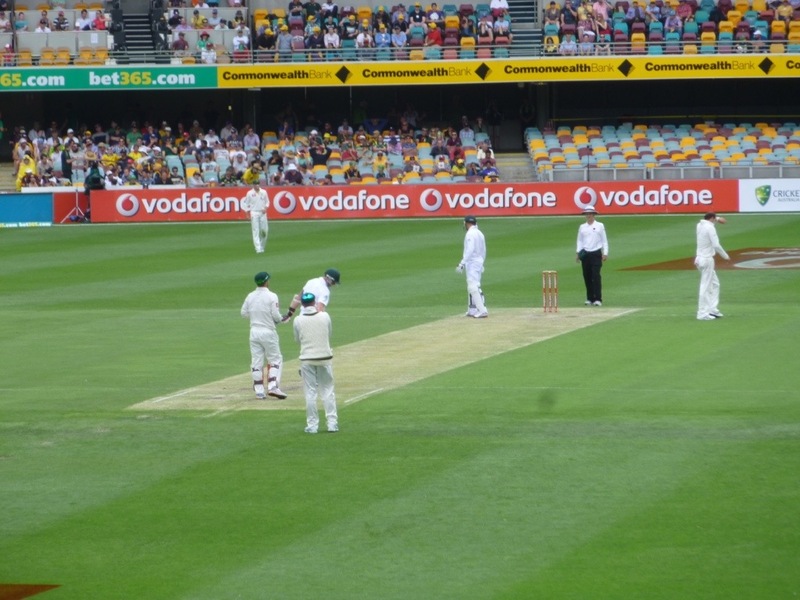 I think there are six bowls to a wicket? I think I’d like to watch more of this game. 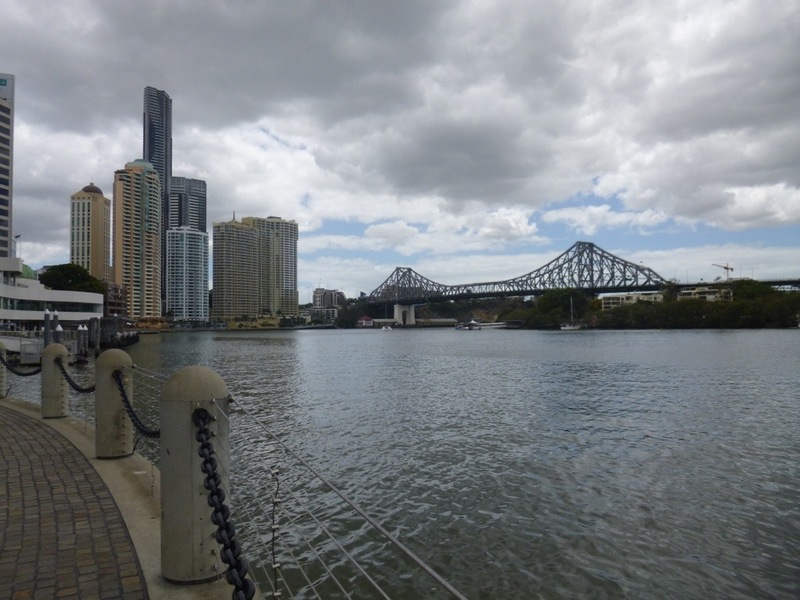 Bridge over the River Brisbane.